30+ years on the world market! 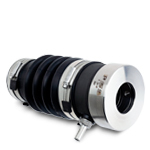 Available for 3/4" to 6" (20mm to 150mm) shaft diameters. 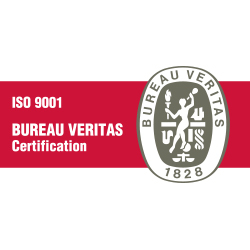 ABS, RINA and Bureau Veritas certified. 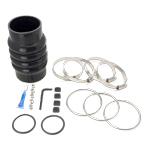 The PSS Shaft Seal is the #1 selling marine mechanical seal worldwide and is installed as standard equipment by many of the worlds most reputable boat builders and boat yards. 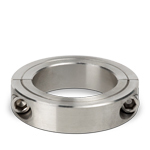 The PSS Shaft Seal is also recognized as the premiere retrofit (aftermarket) seal on the world market. 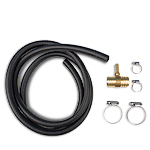 Boat builders and boat yards recognize the advantages and value of installing the PSS as it eliminates the maintenance, constant adjustment and cost associated with traditional packing type glands. 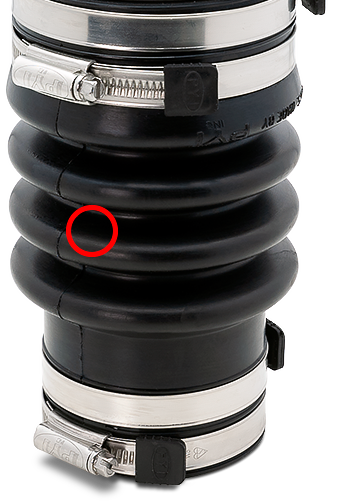 Aside from these benefits, the PSS Shaft Seal helps to eliminate water in the bilge (100% water tight) and wear to the propeller shaft. 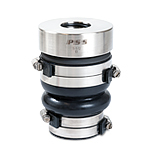 The PSS Shaft Seal can be easily retrofitted and is available for shafts ranging from 3/4” to 6” (20mm to 150mm). 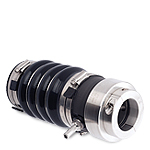 The PSS Shaft Seal is a mechanical face seal. The sealing surface is created between the flat surfaces of the rotating stainless-steel rotor and the stationary carbon flange. 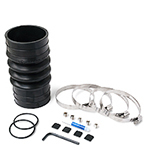 The stationary carbon flange is attached to the front side of the bellow with hose clamps, and the back end of the bellow fits over the Stern tube and is secured with hose clamps. The stainless-steel rotor is fit on the shaft in front of the carbon flange. The stainless-steel rotor is used to compress the bellow before the rotor is secured to the shaft with set-screws. This compression (pre-load) maintains constant contact between the two flat faces of the stainless-steel rotor and carbon flange, allowing the PSS to compensate for the variable fore and aft movement due to propeller thrust. 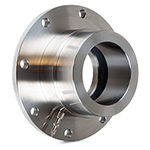 The carbon flange is over-bored to the shaft diameter allowing it to “float” around the shaft and thus compensate for most misalignment and vibration problems. 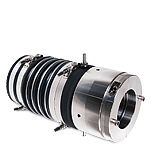 The stainless-steel rotor is sealed to the shaft by two O-rings that are recessed into the bore of the collar. These O-rings rotate with the shaft and stainless-steel rotor and do not experience wear during operation. Click or hover over the components to see more information! 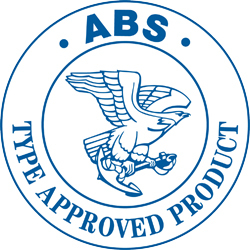 The PSS Shaft Seal has been thoroughly tested and approved by these certifications. 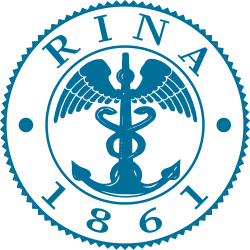 Need to know more information? 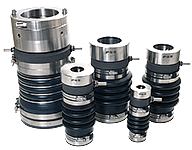 Feel free to download our PSS Shaft Seal brochures and price lists. Can't find what you're looking for? Please contact us!